Craggs Environmental has purchased the Warrington-based fuel systems division of Clovemead. The acquisition, which sees the transfer of key personal and equipment, further enhances the ability of Craggs Environmental to provide UK-wide fuel & tank services to businesses, residences and public sector organisations storing red/white diesel, kerosene and other fuels. “It’s a really important acquisition for Craggs Environmental,” explained managing director Richard Wallace. 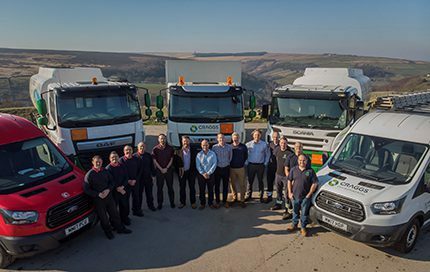 “Craggs Environmental have been great partners over the years and we’re excited to join their team,” said Paul Rava, Clovermead’s operations director.